Glass Hall is expected to be ready by the fall. 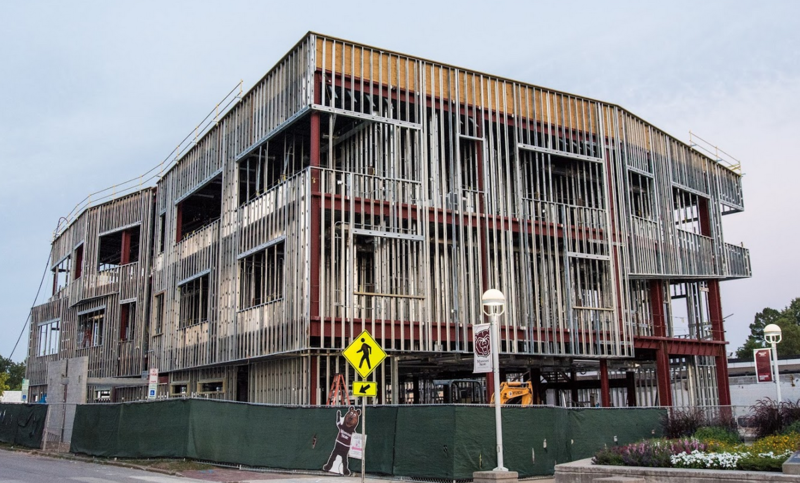 More than $88 million in construction projects either approved or underway is transforming the look of the Missouri State University campus. The most recent project to be green lit is Hill Hall, which the Board of Governors approved a contract for this week. It calls for major renovations for one of the school’s original buildings, and with it the College of Education and Psychology Department. It’s projected to be ready for by fall 2018. MSU received nearly $20 million for that, which is being used towards Hill and Ellis halls in Springfield and Hass-Darr Hall in West Plains. Construction on MSU's Ellis Hall, which houses the Music Department. Constructed in 1959, Smart says the building has undergone little improvement since. The $14 million project should be completed by September, he says. 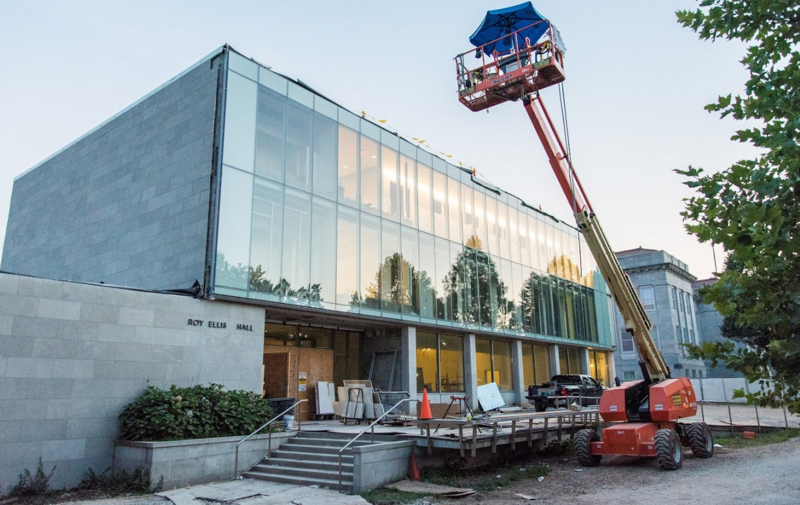 Another academic building is getting an upgrade is Glass Hall, which houses MSU’s College of Business. It’s adding another 40,000 square feet of space. The $35 million expansion is expected to be ready by the fall. “I piece of this is just a result of enrollment growth and we’re booming and there are probably 800 more students studying business today than there were five or six years ago,” says Smart. The original components of Glass Hall are also getting a makeover, he says. Taylor Health and Wellness Center is a brand new facility, scheduled for completion by January. Then there’s Taylor Health and Wellness Center, a brand new facility going up where the former building once stood. The $13 million project is paid for by exclusively with a student fee of $29 per semester. The fee was approved by students in 2015, and will be collected starting this fall. Smart says it will allow for improved and expanded services, including an urgent care clinic, a women’s health center, and drive-thru pharmacy. “We were operating out of a facility built in 1972 when we had about 6,000 students here. Now there are over 24,000 students on this campus and 2,400 full-time employees. This space will allow us to better serve all of those populations,” Smart says. The new Taylor Health building, which is scheduled to open in January, also makes room for MSU’s counseling center to move over from Carrington, where Smart says space is insufficient. Elsewhere throughout the university system, more than $5 million is going toward the Hass-Darr Building project in West Plains, a new one-stop shop for admissions and recruitment. It also will house the Honors College and student union. Additionally, Smart says crews are making improvements in Kentwood, Shannon and Cheek halls, the Professional Building, to the school’s chilled water loop, installing new turf on the intramural fields, and adding another parking lot. Above, hear the full conversation with President Smart about all construction projects on campus currently. The interview is part of KSMU's monthly program Engaging the Community.